Xubuntu Linux 19.04 DVD (64-Bit) | Linux DVD Shop - UK Linux Shop supplying Linux on CD, DVD and USB with Free UK Delivery, 24Hr Dispatch. Xubuntu 19.04 is a derivative of the Ubuntu Linux distribution, running the Xfce desktop environment. Xubuntu is aimed at users with less-powerful computers or those who seek a highly efficient desktop environment on faster systems. 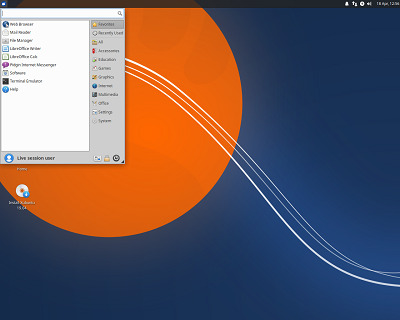 Xubuntu uses the XFCE desktop environment which, using fewer system resources, works better with older computers. Xubuntu comes pre-loaded with a wide selection of software, ranging from office applications to web browsing software, so your computer is ready to use immediately after installation. Older computers feel lively again, while newer ones will run faster than ever before!